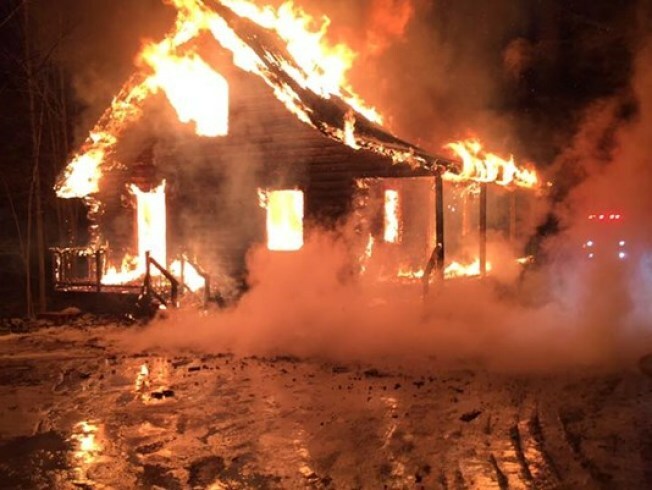 State police have tentatively identified a man killed in a fire that destroyed a log home in York over the weekend. Workers at a nearby Veterans of Foreign Wars hall reported the fire on Saturday morning. The building was engulfed in flames when firefighters arrived. State officials say a body was found in the rubble of the home on Saturday afternoon. Investigators say the body is probably the home's 64-year-old owner, John Herrin. An autopsy will be performed this week. Police say firefighters prevented the flames from spreading to other homes and a wooded area nearby.